Event name: J Day: Ronald McDonald House! Description: Participants will volunteer at the local Ronald McDonald House cleaning and preparing dinner for families. Description: Pizza party and collection/drop off of donated shoes and socks to COTS (Committee on the Shelterless). 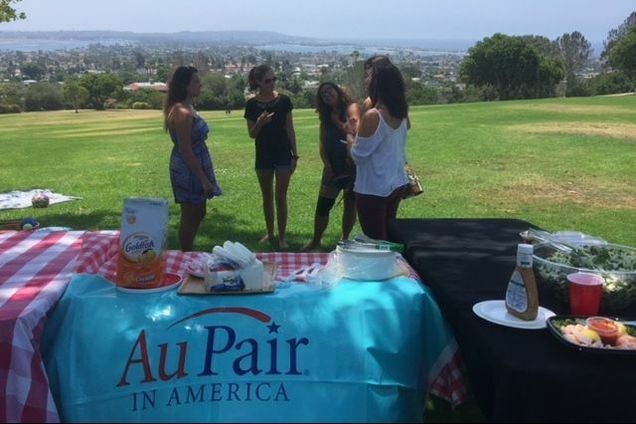 Description: Host parents, host siblings, and au pairs from around WA will gather for an Au Pair In America community celebration! We will have a pot luck and are encouraging families to share their stories about international friendships with au pairs from around the globe. We will have a water balloon toss, coloring, word search, scavenger hunt, culture tables, and tattoos for kids of all ages. Description: Our celebration will follow the mantra of "Eat. Play. Give." We invite you to join us for a day of fun activities, delicious foods, and charity. 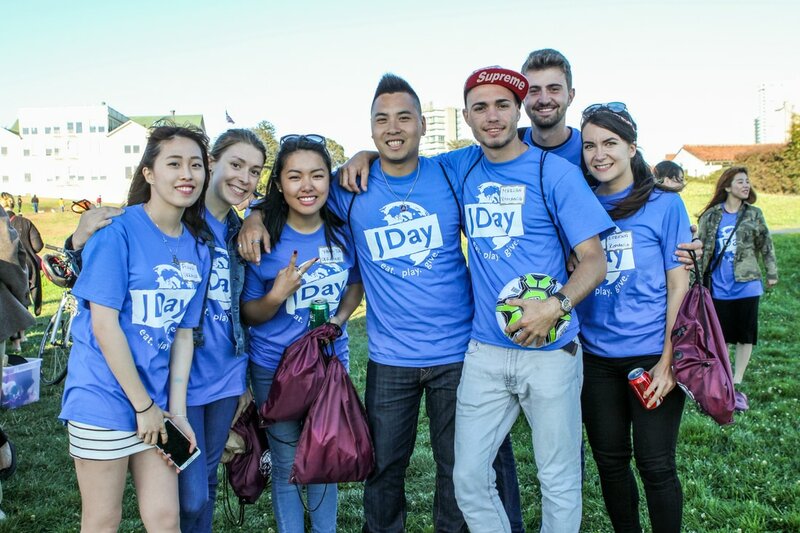 JDay is a great opportunity to raise awareness of the J1 Exchange Visitor Program and promote cross-cultural understanding. This year we plan to support local foster youth and assisted living seniors across the country by writing and decorating various cards for birthdays, holidays, encouragement, and support. Donations of toys and school supplies will be also collected. 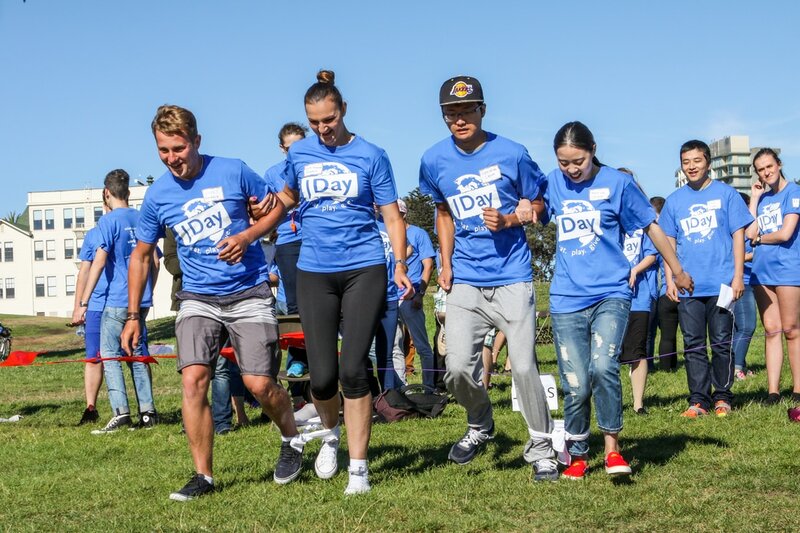 Description: Volunteers will have the opportunity to assist the SF/Marin food bank, which helps feed millions of people throughout the bay area and California. Participants will have an opportunity to win some great prizes and pizza, all the while giving back to their local community. Event name: Outdoor Theater and BBQ Fun! Description: Our Seattle & Eastside Seattle au pairs will help support the volunteer driven local outdoor summer theater near Snoqualmie Falls, WA. We will collect tickets, distribute seat cushions and help serve a western style outdoor BBQ dinner before the evening show of "Joseph and the Amazing Technicolor Dreamcoat" , a highly rated musical by Tim Rice & Andrew Lloyd Weber. Description: Participants will feed children in need, then celebrate with a pizza party!